For the love of a 1966 Fairlane! Keith Campbell's '66 Fairlane is beauty and the little bit of beast! Winning! Beautiful 1955 Belair of the Futo's family! 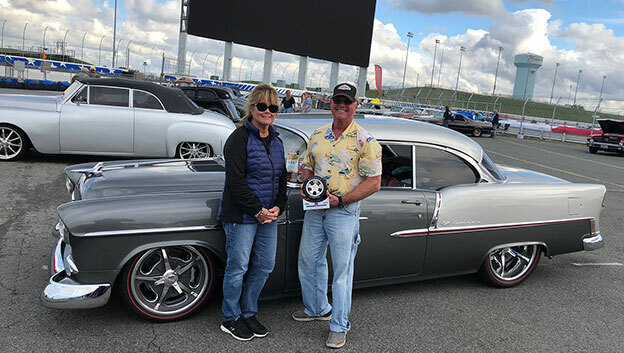 Johnny and Cas Futo enjoying their '55 BelAir with a builders choice award at Goodguys Charlotte!